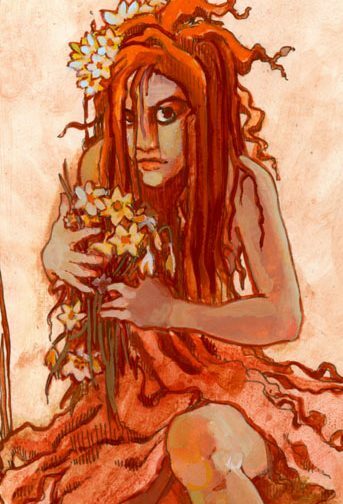 Have you ever heard of the character Echo, the lovely wood nymph, in the ancient Greek love tragedy of Echo and Narcissus? We all know very well the fate of Narcissus. He fell in love with his own image in a pool of water right? But what about Echo who fell so deeply in love with Narcissus she disappeared? She must have been his perfect counterpart more than just a mere echo of a voice. I believe she is a much more important character in the story than we have been led to believe. Like all of us who have suffered through relationships with Narcissists, it is time we tell our version of the story. I would like to share mine with you and tell you unlike Echo in the myth I got my voice back. This is a most important rule for me to remember when an N is having a meltdown. For this rule to be applied, means I had to develop some awareness of the fact that the N does not think like me, wants to control the situation and get me to only believe their version of events. I must have compassion for myself, so that I don’t get sucked in. I am focused and taking care of my feelings first.I am holding to my belief that I am not on the planet to spend a lot of energy figuring out someone else’s stuff. When N’s have meltdowns it is called narcissistic rage due to a narcissistic injury. Narcissistic rage is triggered by some perceived threat usually an insult or criticism that causes an injury. A typical N will react to any perceived threat in an out of control manner. They always assume the other person has hostile intention. When people are angry, it is usually better to wait and talk when everyone has calmed down.The difference with an N is that to go through a discussion about the meltdown, argument or their bad behavior even if everybody has calmed down will result in the non-N questioning their sanity. Gaslighting (a term for the psychological means of getting a person to question their own sanity) is a powerful method used by the N. This is a popular tool in the N toolbox. The way my N typically gaslighted was by withholding information, changing the subject, and denying something ever happened. What caused me the most confusion was the gaslighting combined with saying something to cut me down like ‘You are really selfish to think like that.’ or ‘You yelled at me and are always on me’ and ‘I don’t have a moment to breathe because you are so needy’ or ‘You have a problem with your temper.’ All of those statements have a grain of truth some bigger grains than others, so I would look at my own behavior and then blame myself for whatever happened. Maintaining this rule prevents me from getting into discussions where I defend myself or believe what the N wants me to think about myself. It is preferable to avoid discussions or lectures with an N anyway, but if I am in an unfortunate situation of having a discussion with an N, I keep my sentences short and to the point with no emotion. For example “You can have your feelings. It is ok. I do not agree with your version of reality. I have a different one.” Then end the discussion and walk away or keep repeating the above statements to them no matter what they say. Now the statement I use above can increase rage and confrontation, so it is better to walk away fast. If I cannot walk away then it is better to say something like “It is ok to have your feelings. Yes I hear you.” The N wants to be perceived as perfect, so they can feel safe again. Anything other than calmly agreeing with them will usually incite more rage. It is a waste of time to discuss emotions with an N. They will not hear you because for them it is all about power and control, so discussions about another person’s feelings, wants, opinions, and thoughts are perceived as a threat to them. It is all about the N. Also, they will interpret any question regarding their own behavior as criticism and will act out defensively until they feel safe and in control. This rule may be more applicable a bit later in a relationship with a narcissist. After all of the idealizing and excess effort to win your soul (the Idealization Phase), the narcissist will begin the next phase typically called the Devalue phase, it is the point in the relationship where the mask really slips and they start showing their true colors. They will try to get away with giving the least amount to the relationship as possible, just enough to keep you hooked. The beginning of this phase is also a good time to walk away. Although, anytime is a good time to walk away. There is no reason to accept the crumbs. The only reason they even give crumbs is to break you down, so that you will let them get away with everything. It is only going to get worse from here. N’s process of getting me to accept crumbs was very gradual. N used intermittent love and affection; giving less and less positive attention over time. He blamed me for all of his bad behaviors convincing me I deserved less and less. He would give a merciless punishment and follow it up with taking me out on the town, but then the next day he could easily unleash another punishment like silent treatment. For example, one night, still early on in our relationship, N took me to the opera. It was something I love to go out and do. He made a big show of it, even suggesting we go in the first place, going out of his way to find out when the show was, getting tickets and making a romantic night out. Two days later he was picking up another woman in a bar. It took me a while to find out he was betraying me. These great nights on the town became fewer and fewer, just enough to keep me hooked. His charm for me was like a vacuum. It sucked me into N’s empty universe where my friendship and laughter filled him for a moment. He sucked me dry and then moved on to the next shiny object usually another woman. When I think of him now I picture him with his head floating above his body like a giant helium balloon. Instead of gaining a broader view above ground, he is always floating above reality. I remember him flirting with me in the beginning and recall him behaving this way with other women, but I was too lulled by his charm that I chose to believe I was special. The most important thing for me to remember is Ns do not think like other people at all. When they do something loving there is a reason for it and they do just enough to keep the relationship going. Ultimately, I was only an object to N. He just wanted to do whatever he wanted and would get rid of me if I was in the way. If you notice this pattern in your relationship; the giving is less and less and trying to convince you that is what you deserve, you may have an N on your hands. It is better to not see the crumbs as proof of anything. Ns can’t make up for bad behavior anyway because they don’t have any remorse. I needed to see bad behavior as bad behavior. Can taking me out to dinner multiple times really make up for constant lying, betrayal or lack of empathy and blaming me for everything? Try not to judge. Shut that critical voice down. A judgmental critical voice does not allow me to have any real insight or clarity and that is what I am after. Judgement causes suffering in all of its ugly forms. Also, I do not want to allow anyone to become a negative mirror to me. This means a person who reflects back my bad feelings and beliefs about myself. I may not even be aware that I even have these thoughts and feelings because I am not observing or tuning into myself (recall rule #1). If I do not have compassion for myself, then I allow another person to reflect back my negative beliefs and feelings and believe them. The effects of this is I try to get love and approval from somebody else, giving away my power to the other person and allowing them to take my energy. One of the ways I generate compassion for myself is through meditation. I will sit for a few minutes and picture a white light enveloping me and think of a moment I feel really loving like when I hang out with my two little nephews that I absolutely adore. When I feel like I am being hard on myself, I reflect back on the white light and a joyful moment. Also, mantras and positive affirmations can be helpful, but I use these with a nonjudgmental mind not attempting to override a negative thought or feeling. So again Tara Brach’s RAIN technique is helpful here too (the A for allow things to be). Taking time for myself is important. Doing loving and caring things like exercise, eating healthy food, spending time in nature, gardening, massage, buying myself flowers or candles, taking baths, and spending time with a good friend or family member. If you think you may be hanging out with a narcissist then the sooner these rules are applied the better. Even if you don’t know for sure whether the person is a narcissist or not, applying these rules may be a good way to find out. These rules are a helpful way to set boundaries with people in general. To the opportunistic narcissist, boundaries are nasty little barbs that interfere with their need to be in total control. They don’t like making the extra effort to step over these pesty barbs either, so they will tend to avoid a person with strong boundaries. The very best way to alleviate suffering for the long term is to get rid of the narcissist altogether. But if you are anything like me, when you find yourself already immersed in a relationship then you might feel compelled to stick around for the fun and games. Because while you are enmeshed with the narcissist, leaving can feel worse than staying. There are all sorts of reasons for this, but one I will mention is that there is so much confusion that it is incredibly difficult to navigate this type of abusive relationship and yes, my friends, it is abusive. It took me a while to come to the realization that yes I was being abused because I always said to myself ‘it takes two to tango, I am an aggressive button pusher, all relationships are 50/50. To make matters worse, a narcissist has a lovely way of enhancing these beliefs and making everything feel not just 50/50, but 100 to 0 in their favor. Never try to convince myself of something other than what is there in the moment. Do not under any circumstances create a story around a situation. I have a tendency to care take and also have a very kind imagination, so I will come up with excuses or reasons for behavior and spin stories out of them. For example, I will say to myself, the person is just afraid of intimacy or maybe they had a hard childhood. Even if it is true the person is afraid or something painful from their childhood was triggered, does it really matter what caused their behavior if they treat me badly? When I look at the behavior without the reasons or excuses, I can swiftly set boundaries. Again, it is important to observe the behavior in general without a story line like ‘oh he thinks I am so special, we have everything in common’. Do not fall for romantic hype or ego stroking anymore than making excuses for bad behavior. The romantic hype also called love bombing, usually occurs in the beginning of an intimate relationship with a narcissist. The narcissist studies its prey very carefully. The N can seem incredibly interested in you, your interests, they are like a chameleon and will even mold themselves to be the ideal match for you. They will charm you, make you feel loved and adored. It will feel like you met the best listener in the world and the person who really gets you. It is difficult to discern what is going on at this stage, but the relationship will seem too perfect and too good to be true. The N also will want to get close really fast, like wanting to move in together or even get married. Keep your wits about you during this phase also known in narcissist land as the Idealization phase and try not to get hooked. It is important to be present to the situation in order to be able to observe. To be tuned in to my feelings, my body, and investigating myself as much as I can. Early on in my relationship I had feelings of hair standing up on the back of my neck that I ignored, feelings of fear in my stomach and chest, not knowing why. I knew I was having these feelings, but I was completely following a story that I allowed to override all of the signs that something was wrong. I told myself this relationship is going to work no matter what he does or how he behaves. Because he doesn’t mean to be mean. He was hurt as a child. I went so far as to eventually believe that all bad things that happen must have to do with my faults and weaknesses, therefore I have to fix myself in order to make this relationship work. Being tuned in and able to observe without attaching myself to a story is something I have really had to practice. I use Tara Brach’s RAIN as a mindfulness tool. She adapted this acronym from her book ‘True Refuge’. Even when I have a hard time tuning into my emotions and feelings in my body, I try to keep it simple using the acronym as my prompt. I state the behavior.I observe first using the R in RAIN to Recognize what is going on , A is to Allow things to just be, I is for Investigate: how do I feel, think, believe about a situation without identifying with or judging any of it, the N is for Non-identification. All stories explaining behavior eventually cause suffering, so stop right there. Stick to the facts please. This is an introduction for my next post because I want to explain how I use the term Narcissism, why I created 10 rules and use the word ‘rules’ instead of guidelines and the importance of their application. What do I mean when I use the term Narcissist? I refer to my ex-husband as N for Narcissist throughout my story, so how did he get that label anyway? From my own research and experience, the traits can be exhibited across a long spectrum. On the extreme end there is psychopathy, then malignant narcissism, narcissistic personality disorder (DSM Diagnostic and Statistical Manual of Mental Disorders DSM-5. 5th ed. Arlington, Va.: American Psychiatric Association; 2013. ), to narcissistic traits which many of us can manifest. Also there are different types of narcissists, for example there is the overt narcissist and the covert narcissist, the somatic and the cerebral narcissist. I would say my ex husband N falls between Narcissistic Personality Disorder (he meets all of the criteria in the DSM 5 for the personality disorder diagnosis) and the Malignant Narcissist on the spectrum. Researcher and therapist Steve Becker in his paper ‘Differentiating Narcissists from Psychopaths’ makes a distinction between Narcissism and Psychopathy by referring to all psychopaths as having narcissistic personality disorder, but not all narcissists are psychopaths. Narcissists need validation and psychopaths seek to destroy. My interpretation is the farther along a person is on the spectrum toward psychopathy the more dangerous because they truly seek to destroy for the thrill of it. I attracted three other narcissists while I was healing from my abusive marriage. I learned that I did not have any radar. I must have looked like a sitting duck to them. This gave me the idea to come up with rules of behavior and healthy ways for me to process my thoughts and feelings. Something I can do to help me set boundaries with people. That remind me I am responsible for and accountable to myself and give me the ability to find out if a person is toxic, narcissistic, psychopathic, or anyone along this spectrum and swiftly get rid of them. I learned the hard way that a narcissist will give up on a person with strong boundaries rather quickly. I regularly put my rules to work out in the land of the free roaming narcissists and have even found these rules to work on run of the mill toxic people. There is no particular order. Any of them can and should be applied at any time, although at certain points in a relationship with a Narcissist one rule may be more feasible than another. They are great tools to screen people while dating, making new friends, for starting a new relationship or even if embedded in a relationship with a possible narcissist. These rules also helped me establish no contact with my narcissistic ex. I use the word ‘Rules’ instead of guidelines because, for me, they must be followed. Narcissistic abuse is very serious and narcissists wreak so much havoc that for those of us who don’t have a good radar these rules are a great protection device. As I will convey in future posts about my story, I do not always follow them myself and show what happens when I don’t. The rules aren’t a recipe to lower self esteem or an invitation to be hard on oneself. I created them to protect myself like a shield from the wolves in sheep’s clothing (the narcissist, psychopath, malignant narcissist, and toxic people). It also encourages a mindful practice for developing a healthy relationship with myself and therefore others. For every light there is a dark. For every high there is a low. This is the natural balance of the universe in all things. Ok I expect the highs and lows with drugs and alcohol, but should a relationship have similar elements? C’mon is this the universe’s cruel joke? I legitimately fell in love with someone who loved me too. Or at least he said he did. What is wrong with that? I would eventually see the ebb and flow of dark and light in my relationship become almost total darkness. I trembled alone for long periods in the dark waiting to be loved. I was like an abandoned child desperate for even the slightest sign of acknowledgement. The narcissist doesn’t stay in a relationship without using intermittent love and affection as a method to control. This caused me severe withdrawal symptoms from what was becoming the few and far between blissful times in the relationship.But I believed I could be patient and tough and could survive on his mere crumbs in exchange for a slim hope of love. I told myself we were just going through a phase. The Devalue/Discard phase is the next level of narcissistic treatment. My narcissist had reliably set up a pattern of raising me to a pedestal only to cruelly toss me into a dark pit of despair when I did not reflect back to him the image he demanded or when I did not live up to his ideal, or just to be cruel. He would easily replace me with someone else playing the correct role, all the while punishing me by throwing it in my face. In my case he liked to date other women.He would leave clues around that something was going on. When I would question it he would deny deny deny. I eventually learned my behavior didn’t matter. This pattern reared its ugly head more faithfully than anything else in our relationship. And each time I went through the gauntlet it only strengthened my desire to do everything in my power to recreate the bliss, to make everything ok, to live up to his ideal, and to be a perfect mirror for him. I was losing myself, slipping into a full blown addiction that was sapping my life force. From my research, I learned that this dynamic creates what is called trauma bonding (see Peter Walker and Patrick Carnes) and like drugs and alcohol can cause all sorts of chemical reactions in the body that are extremely addictive and can be just as powerful as any drug abuse if not more so. An important point here is that this process is so difficult to kick that it is better to nip the relationship in the bud before any real attachment begins. If you are early on in a relationship and begin to suspect that he/she is a narcissist check out my rules on this blog. They can also be used for screening and then blocking. It took me a while to come to the realization that yes I am being abused because I always said to myself ‘it takes two to tango, I am an aggressive button pusher, all relationships are 50/50′. A narcissist has a lovely way of enhancing these beliefs and making everything feel not just 50/50, but 100 to 0 in their favor. The ups and downs and highs and lows of my relationship to a narcissist caused me to constantly question the nature of reality. I went with his version of gravity for a while. This process occurred slowly and subtly until it was normal for him to control my world. When I first got away from him I was so disoriented. I had made myself leave for physical safety reasons, but I didn’t want to actually leave him. In the moment, the only thing I was sure of, was his rage was out of control and had scared me. It would take multiple attempts over two years for me to permanently sever myself from him. Meanwhile, after stepping out of the initial shock of pain of our first break up; I was desperate to figure out what was happening to us and how to fix it asap, so everything would be ok. I read everything I could get my jaws into like a voracious shark. I swallowed whole books about personality disorders, abuse survivor stories, and techniques for changing myself. I learned from the books I read that his behavior was verbally and physically abusive, but didn’t I cause it? I had researched narcissism and believed that he had some of the character traits, but definitely not all. I mean I was never afraid he was going to kill me, but maybe hurt me. I mean he had hurt me, but he isn’t that dangerous. I would never allow someone to really abuse me. We are just two people who are troubled and can work on ourselves. We can fix this. I even found a book called ‘Disarming the Narcissist’ that actually offered techniques to help me with my possible narcissist. This is hope. I will try these and we can still get back together. Also, I can be a better person for him. The few people who heard my side of the troubles usually said things like ‘Oh well just chalk it up to: you two are not a good match.’ This explanation never felt right and made me insanely angry. I didn’t believe for a second we were a bad match and railed against any insinuation of this. I wanted him back. No matter all of the pain and suffering. I told myself it was mostly my fault anyway. I would do anything for another moment with him. Oh to be in the bliss of his full attention, my favorite place of all time was perched high on his pedestal, showered with his approval. This is what I could not live without. I believed he must love me. We connect like sacred soul mates.. I would put up with anything, be anything, change anything to repeat these moments on high. I have never felt like this about anyone. I tell myself we are only apart right now because we both need to work on ourselves individually. I remember people commenting on our connection and how electrical and amazing it was. How they only wished they could have a connection like we do. I felt so high sometimes like we were floating above it all with nothing to tether us to this world and only the stars to guide us on our path to bliss higher and higher. Yet what they didn’t see and what I refused to see was my gradual withdrawal from my former life. There was something very wrong, but I couldn’t quite put my finger on it. I was falling apart. All I had to do was look at my face in the mirror and watch it get thinner by the day. I was losing a lot of weight and felt afraid most of the time. I covered up the fear with copious amounts of alcohol. In the past, I had meditated for relaxation and stress reduction when I was suffering from health issues, but I had not really pursued a spiritual practice and had no idea what spirit really meant. I had studied Buddhism a little. It appeared to offer tools for calming the mind down, like meditation. I did remember, similar to Christianity, it talked about suffering, but it seemed like the philosophy had applicable practices for the here and now to get rid of suffering. Less like a religion and more a technique of working with the mind. Maybe the Buddha could help me? Any type of formal study of Buddhism will usually begin with the four noble truths which is the main part of the Buddha’s first sermon after he achieved enlightenment, and also the foundation of the practice. The first noble truth is often translated as “Life is suffering.” I read this and wanted to throw my book across the room. Ok! Yes I get it. I am suffering right now. Please tell me something I don’t know, but I was desperate enough that I stopped myself from continuing this automatic reaction. I thought about the fact that this is a really old philosophy and a lot of people I respect have said that Buddhism has changed their lives. The Pali word dukkha which is translated as suffering in English, also refers to anything that is temporary or conditional. Even something precious and enjoyable is dukkha, because it will end. This is the nature of life and also the nature of death. Now I was even more depressed. There was no hope nor a way out of this labyrinth of suffering? The Buddha taught that this suffering in life has to do with our perception of who we think we are rather than who we really are. Before we can understand life and death we must understand the self. I realized right away because of my own study of psychology in college that the psychology of Buddhism has a different view from the west. In the west we conceive of a self as essential, important, real, and fixed. Yet Buddhism is proposing a self that is a fiction, a delusion. What the hell does this mean I wonder? 4 years ago I was a childless 39 year old woman who lived alone! My parents got me a goldfish because I was going through a divorce and they were worried about me being alone. I kept it alive for almost 4 years. I remember hauling the tank over to friends’ homes whenever I went out of town for a few days. The dirty fish water sloshed onto the floor of my car. Probably cut several years off of the poor creature’s life. I should have just had someone come to my place to feed it once a day, but I didn’t want the fish to mostly be alone for all of the days I was gone. I didn’t get another fish for the tank because I was never convinced that my goldfish wanted to share the tank. He or she seemed perfectly content on its own. When bad things have happened to me I usually wallow for a bit in my misery and then try to come up with solutions. I believe I have had the typical dose of bad crap in life from my parents divorce to my own divorce. I battled with painful health issues for over 2 years in my late 30’s. But overall I kept on. I did not lose my world or myself. I kept my job, my friends, my life mostly intact throughout my mishaps. I hurt. I was miserable at times, but I knew I was going to come out of it and be ok. I had a history of alcohol abuse especially during my divorce, so when I started having health problems I sobered up and changed my diet. I still smoked occasionally, but nothing like I used to. Gradually, I got healthier and this gave me a great deal of confidence. I had learned a tremendous amount about physical balance in the body. I loved the feeling of calm I got from taking such good care of myself. I biked everywhere and that became my regular exercise. I meditated daily for about 10 minutes. I took a writing class. Made some new friends. I had financial stability. I had been single for over two years and was enjoying it. I had some trips planned with friends. I was in the perfect place in my life to welcome a new relationship with a man who would forever change my life. What I didn’t know at the time was that maybe like my goldfish I was perfectly content being on my own. I hope you can follow me on this very crooked path of hard won transformation as I separate myself from an extremely abusive relationship with a narcissist. It wasn’t until I was untethered from this relationship that I realized I did not know the person I married. And even worse I did not know myself. He sucked the life out of me until I felt forced to choose between living and dying. Anytime I got a bit of strength back in me he came back for more and the destruction happened all over again. He was like a vampire and I was his highly tolerant, empathic victim desperate for love and approval, willing to feed him my life blood; he held all of me in the palm of his hand. At the time I had no idea what was happening and I certainly would not have claimed I was being abused. I had no idea what trauma and abuse can do to a person, but I would find out. I would like to use blog posts to describe my journey not unlike Echo’s story of suffering and disappearance, but that it is possible to have a better life after loving a narcissist. Yes I went through an incredibly destructive relationship, had tremendous difficulty leaving, and establishing no contact. I traversed a variety of avenues of healing and recovery and have struggled with discipline and effort. I will explain what worked for me, what didn’t and why. Also, I would love to hear from anyone in the world. Any and all comments are welcome. This is something I wrote in my journal right after N moved out. I was in a whirlwind of emotion, confusion, and at a loss for what to do with myself. I wanted to hear a story from someone who made it out of this painful labyrinth. A person who had a better life now. Then I wanted to be told there was hope and a future with a real soul mate. But most importantly, I wanted to know how they did it. Where did they go? What did they do? How did they keep going? Because amidst my pain, it seemed impossible to me that anyone could survive. I knew about 6 months into the relationship there was something off about N, but his behaviors didn’t seem to match up with what I knew about typical abuse. I observed he could be full of rage and scary, but it had not been aimed at me. I ignored this because I loved him desperately. After we broke up, because the rage had been aimed at me, I still loved him, wanted him back and hoped every day he would come for me. No one in my life could grasp this insanity. I had nowhere to turn to get support for these very dissonant thoughts and feelings. Whether we were together or not I could not take the pain of being abandoned by him or even the thought of it. I felt like I was running on empty lost in a desert. No protection from the elements of life. The worst part was I had intense anxiety about being alone. In fact I couldn’t live alone after the initial break up because to me I equated being alone with death. It stirred up that much anxiety. In flight from this fear; I moved in with my dad and stepmom. I lost my job two weeks after that. I was fired for lack of caring. I had been at the same job almost 11 years. After that I drank every night at a nearby pub with my friends popping a xanax here and there. Then fled Seattle to visit my friend in Calgary for a week. She peeled me off her doorstep and held me while I cried off and on between panic attacks. I was a mad mess, but she is a therapist and knows about trauma. Her presence was amazing. I did not talk to N the week I was there. I had only seen him a few times after he had moved out. I was proud of myself because I had gone to court to get the papers to file for a separation. He owed me a significant amount of money, so I wanted something in writing. He seemed incredibly surprised when I presented the papers to him. I was on the right track keeping my distance from him and contact to a minimum. This did not last. When I returned from Calgary I felt like a salmon swimming upstream, his bait came in swift. I was pulled out of the water with an elaborate hook, all of my previous effort wasted, only to fall right back into his stream of lies and manipulation. I became a liar. I lied to everyone about when, how much we talked, and what our conversations entailed. I became angry and volatile, I was unable to focus, read, watch tv or movies, my mind was clogged with thoughts of him. I vacillated between love and need versus extreme fear of being hurt by him again. He had told me I was not ok. I was not good enough. He did not want me. He never loved me. These thoughts had come to roost in the center of my mind. They had taken over and had a life of their own. I became paranoid about him and other women. This became an obsession. The thought did not cause jealousy, but absolute terror. I was unable to set boundaries with people and if I did, I would allow them or myself to violate them. I could no longer rely or trust myself to do any decent self care. I only wanted to drink to the point of disintegrating into a puddle and then flow right down into the sewer where I belonged. I didn’t really want to die even though I had suicidal thoughts. I liken my experience at this time to having been kicked out of the human tribe, left to survive on my own. The fear felt so real and severe that I wondered if the break up had triggered some horrifying unconscious trauma like my own mother had left me perhaps hanging by my hair from a lone Joshua tree in an empty desert. So my body is turned on high alert wondering if I am going to make it or not. I wanted to be rescued. I wanted the fear and pain to stop. But there was also something else, I wanted something to rely on that did not change day to day, something bigger and more powerful than I could ever be. Something beyond an all loving mom or a safe womb. But first how to stop the acute pain. I had no idea. I knew that I needed to find out what was eating me from the inside out. Why this overwhelming fear of being abandoned and alone? I decided to go online and see if I could find anything that might explain it and what to do about it. While I was searching I ran across a moving quote by Pema Chodron (a Buddhist nun who herself had gone through two divorces). When I read this, it stopped me for a moment in my tracks. I was so afraid of my feelings; all of them especially loneliness, but why? I had no idea what I was running from and furthermore didn’t know what I was running to. I was exhausting myself doing the same thing over and over again to stop the same thoughts and feelings yet I didn’t know really what was going on. A mob of thoughts had established a meeting place in my mind that I was not invited to and wanted to avoid as much as possible. They had staged a revolt. I was getting overthrown and was terrified. I tried to hide in my bottle of wine I didn’t exactly know what I was up against because I had always used the outside world to help me escape from my rabblerausing thoughts. I was afraid my pattern of running was not working this time. My problem of using alcohol and pills to survive was not enough to keep the fear away. Unless I stopped I could not focus long enough to read and absorb anything let alone try something different. I needed to sober up before I drowned my mind permanently. "Because I SAW one in the early 1970's!" Unpolished thoughts siphoned from an overactive brain. Settling for less just doesn't work for me.